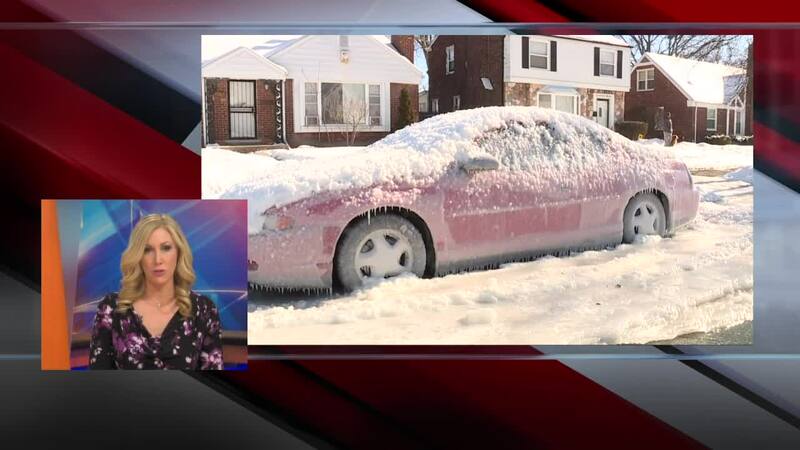 DETROIT (WXYZ) — Thursday, people living along Warwick Street near Outer Drive woke up to a thick layer of ice on the street. His son’s car, which was parked on the street, was covered in a tick layer of ice. Three cars got stuck on Warwick. "They knew about it, they were going to send somebody but nobody never came,” said Gordy when asked if he has called the water department. A spokesperson with the Detroit Water and Sewerage Department says residents did call Thursday morning, but sent a crew out after they took a call from 7 Action News explaining how bad the conditions were. We are told the water line has been turned off but that everyone still has water. They plan on fixing the break once the weather warms up. In the mean time, residents are putting salt on the road to help melt the ice. In all, there were 45 water main breaks in the city of Detroit on Thursday. If you see a water main break, call the Detroit Water and Sewerage Department at 313-267-8000.